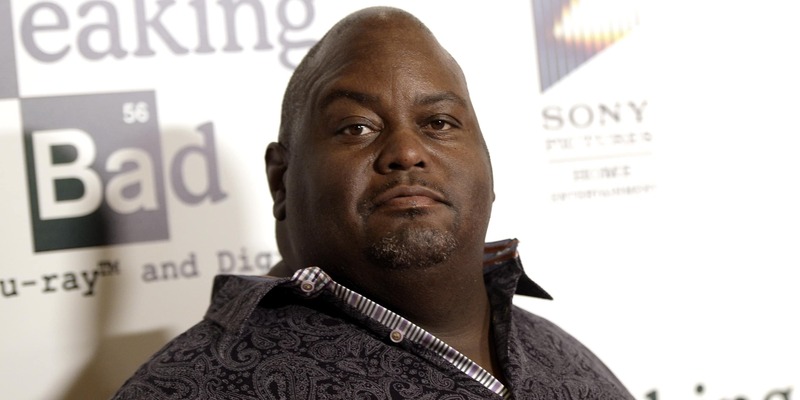 Lavell Crawford Is an American citizen who is better known for his humor and acting skills and to be precise, he is an actor and comedian. Lavell earned most of the fame in his career till date from roles as Huell Babineaux, the bodyguard for Saul Goodman in Breaking Bad and its spin-off Better call Saul. In the movie The Ridiculous 6, he portrayed the role of Gus Path which also made him a known face among actors. Though he is better known for his comic roles, his weight loss journey has also become an interesting aspect of Lavell’s life that grabbed media attention. Recently Lavell reported about his weight loss of 130 pounds and still in his way of losing more. On his decision of losing weight, Lavell quoted, ‘for all big folks out there, I’m gonna keep it real. I’m having the gastric sleeve’. He also added, ‘I’m 47 and I’ve got a beautiful 5-year-old son that I want to be around for. I’ve got a beautiful wife that I want to be here for. I don’t want to leave her hanging’. Lavell has been an amazing comedian for more than two decades and has been successful in bringing the smile in the faces of his fans but his own family life was not as good as his career. The culprit behind his family issues was that extra pound weight on his body that made him diabetic and hypertensive. Though he even made jokes about his big body but recently took a serious decision of losing weight through a complex surgical procedure called Gastric sleeve surgery and lifestyle changes in March 2016. He basically took this decision to be there for his son and wife. He shared that he loves his family a lot and want to fulfill his responsibilities towards his family even if it demands his extremely strict weight loss procedure. He has already lost more than 130 pounds and is determined to lose more. Lavell has set an example that if we are willing then nothing is impossible. In the present time, Lavell is busy working on stage shows and as a stand-up comedian. Lavell was born in an African-American family to father Daryl Crawford and mother Annita Crawford. Lavell was born on 11th November 1968 in St. Louis, Missouri U.S.A. Lavell along with his sisters, Elonda Goodwin and Erica Roach was schooled in Pattonville High School located in Maryland Heights, Missouri and later graduated from Pattonville in 1986.Unfortunately, Lavell was discarded by his bodybuilder father because of Lavell’s obesity since childhood but he reconnected with him in 2010. Lavell is a sensitive person but with a twist of the amazing sense of humor. He is very loving to his family as said earlier with mesmerizing personality. Lavell has been an adventure loving person in spite of his heavyweight of 161 KG before weight loss. He is fond of adventurous traveling and luxurious family trips. He is totally in love with his wife and never fails to surprise her with his unexpected gifts and dinner plans. Though Lavell didn’t get enough love from his father but has made sure that he becomes the best father in the world for his son. Lavell never misses a single chance of spending time with his family. Lavell married gorgeous DeShawn Crawford after dating for several years. Lavell was extremely happy marrying DeShawn and then the couple was blessed with a package of happiness, a son named LJ Crawford. Lavell’s career started at Illinois club soon after his graduation. Soon he made his first television appearance with Def Comedy Jam in the 80s. Lavell showed his comic talent in the show, ‘Comic View’ on BET in the 90s. Lavell also participated in the show Last Comic Standing on NB in 2007 but he lost to Jon Reep in the two-hour season finale. Lavell recorded, ‘Lavell Crawford: Can a Brother Get Some Love’ at the Roberts Orpheum Theatre in St. Louis in 2011. In Breaking Bad, a crime drama series, Lavell appeared as Huell Babineaux, Saul Goodman’s bodyguard. Lavell appeared as a stand-up comedian with a stage name, ‘Landslide’ in the show, ‘It’s always sunny in Philadelphia’. He got a cameo role in an episode of Tosh.0 where he is seen helping a worst stand-up comedian redeem his career. On the big screen, Lavell first played the role of a supporting actor in, ‘American Ultra’ in 2015. He also appeared in the show, ‘The Nightly Show with Larry Wilmore’ in 2015. Lavell appeared as Unbelievable Ron and a chimp alien in Aqua TV show Show. He bagged cameo roles in Squidbillies, Your Pretty Face is going to Hell, Super Fun Night, The crazy ones, Sperm Boat and many more. In Better Call Saul, Lavell played Huell Babineaux in 2017.He gave voice in, ‘Water Teen Hunger Force’ and ‘Squidbillies’. Lavell has earned a good sum from his movies, TV shows and as a stand-up comedian. Lavell’s net worth is about $500 thousand and he is at the best of his career both fame wise and economically.